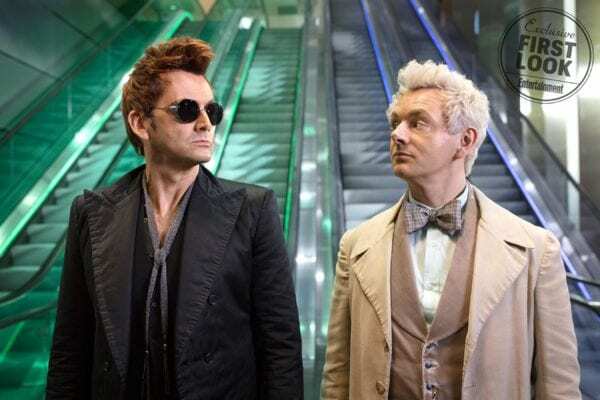 On Saturday, October 6th, the cast and crew of Amazon’s Good Omens took to the Madison Square Garden stage at New York Comic Con to tease the delicious fun that fans can expect from the upcoming limited series, debut the first trailer for the show and unveil two exclusive clips. On top of all that, however, the latter half of the panel saw the attending talent, series showrunner Neil Gaiman, director Douglas Mackinnon and actors Michael Sheen, David Tennant, Miranda Richardson and Jon Hamm, fielding questions from the audience, including one about the works of Gaiman and Terry Pratchett. 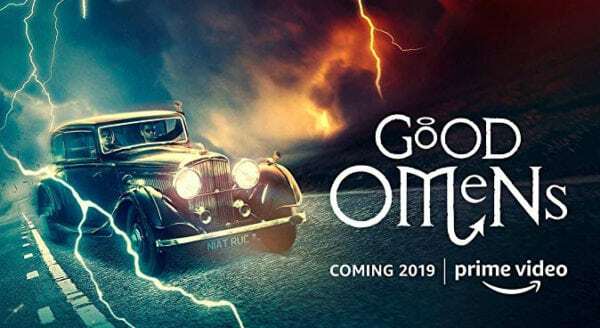 A curious fan asked the panelists what each of their favorite Gaiman or Terry Pratchett book was, the duo being the co-writers of Good Omens: The Nice and Accurate Prophecies of Agnes Nutter, Witch, the book on which the series is based. Panel moderator Whoopi Goldberg was the first to chime in with her answer of Anansi Boys, a 2005 Gaiman-penned New York Times best-selling novel. Sheen revealed his favorite Gaiman story was DC Comics’ The Sandman – “A Game of You” and, as for Pratchett, he chose Mort, which follows Death (a recurring character in Pratchett’s other works) and is an early entry in his Discworld series. 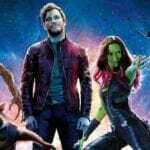 David Tennant shared that he is a fan of any of the projects Gaiman has done for Marvel Comics. “I am a massive fan of Marvel Comics, when Neil Gaiman meets Marvel Comics it’s the sweetest of sweet spots for me”, he said, and then indicated he was, in particular, a fan of Marvel 1602. Additionally, he mentioned that he did a BBC Radio 4 reading of Pratchett’s The Amazing Maurice & His Educated Rodents, a 2001 children’s fantasy novel that provided a twist on the Pied Piper of Hamelin German fairy tale. 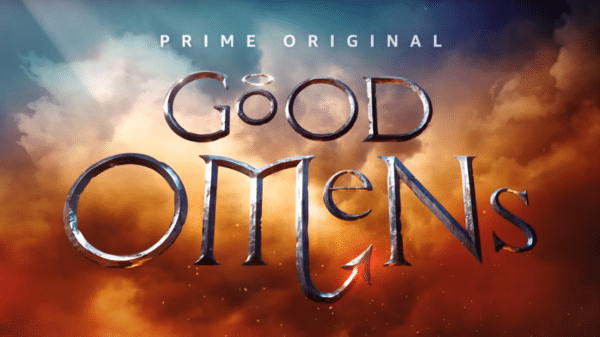 Good Omens will air on Amazon Prime and BBC Two in 2019 and features a cast that also includes Michael McKean (Better Call Saul), Adria Arjona (True Detective), Nina Sosanya (Marcella), Ned Dennehy (Peaky Blinders), Ariyon Bakare (New Blood), Anna Maxwell Martin (Becoming Jane), Lourdes Faberes (Knightfall) and Yusuf Gatewood (The Originals).